Jacqui Yorston will leave everything out on the field this Saturday when she plays her first match as a Lions AFLW player. The team has their first and only practice match of the season against the GWS Giants at Leyshon Park, Yeronga at 3 pm. The players are under no illusion how important this game is for their personal cause to be named in Coach Craig Starcevich’s Round 1 team on Sunday 3 February. With 10 new players entering the team, the in-house competition is stronger than ever. 18-year-old Yorston says, bring it on. “I’m looking forward to it because I want to put it all out there,” she told lions.com.au. Yorston has been with the Hyundai Help for Kids Lions Academy since the introduction of the girls two years ago. Although she is familiar with the professional football environment, the standard set on day one took her back. “Honestly I’ve been mind blown with how quick it started and how intense it’s been from the first training session,” she said. “I look at Bre Koenen and Sam Virgo the most,” she said. “You look at the way they prepare for training. On Saturday Yorston, with the rest of the team, will put the past two months of pre-season to the test. “I’m looking forward to seeing how the team shows up,” she said. 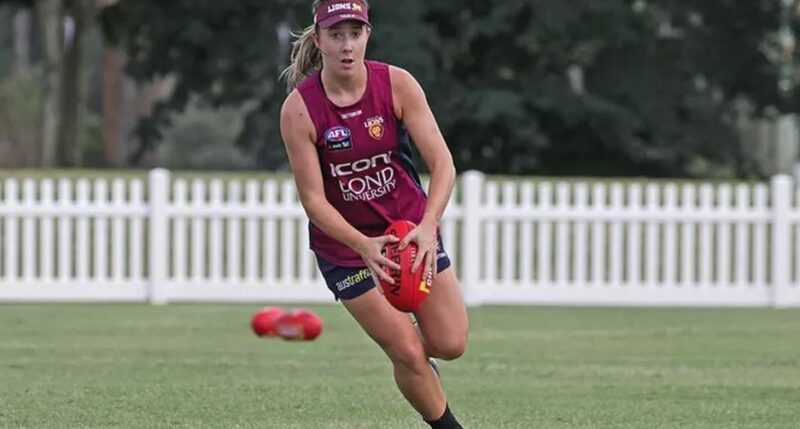 The Wilston Grange Junior has been training as a midfielder in her first AFLW season but under Starcevich, her former Queensland Under-18 Coach, she was known to swing between the forward and backline.